AMD first announced its EPYC Process for datacenter servers back in June 2017 and has been steadily evolving the silicon ever since. “We are seeing the largest demand for our top of the stack 24 and 32-core EPYC processors, which combine industry-leading core counts and I/O to deliver performance advantages across cloud, virtualization and HPC workloads,” Su said. The Ryzen is AMD’s desktop processor and Su noted that she has seen strong demand for the higher end Ryzen 7, Ryzen 5 and Ryzen Threadripper processors. Vivaldi Technologies released today Vivaldi 2.1, the first point release to the 2.x series of the Chromium-based, cross-platform web browser. Vivaldi is known as “the web browser for power users,” so Vivaldi 2.1 continues to bring more productivity additions in an attempt to make you more efficient when using Vivaldi to browse the Web or do whatever work you’re doing at the office. 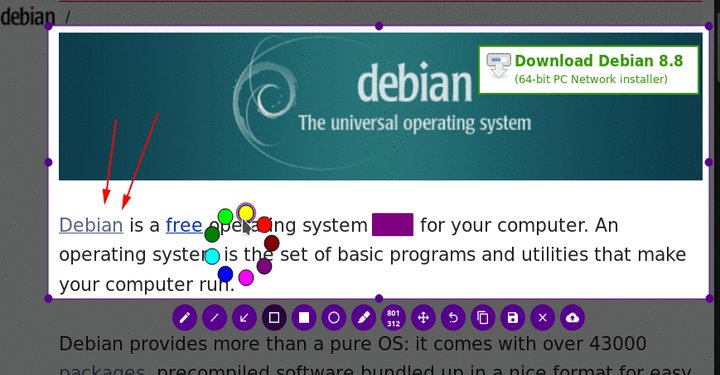 Flameshot is an open-source command line-based screenshotting tool that lets you capture whole or specific screen areas and immediately make annotations before saving them locally or online to Imgur. If you choose to save the shots online the link is automatically copied to your clipboard for sharing. 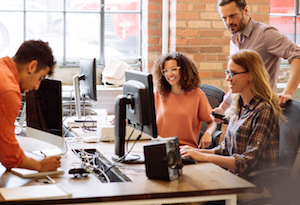 Boost your team’s productivity and motivation with these agile principles. By now, you’re either deeply invested in the world of cryptocurrency or tired of hearing about it. Either way, though, some currencies stand out for one exceptional trait or another. 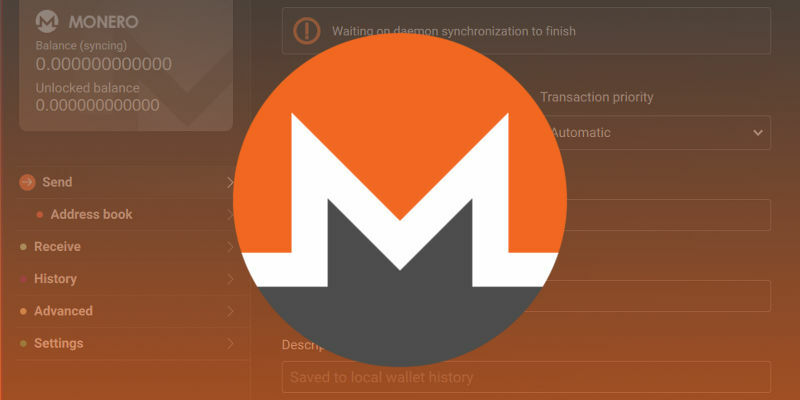 Monero is one of these currencies. It’s a confirmed news that Pine64 is considering a budget Linux smartphone running KDE Plasma. The Ubuntu 18.10 Linux release became generally available on Oct 18, providing new capabilities for desktop, server and cloud users. 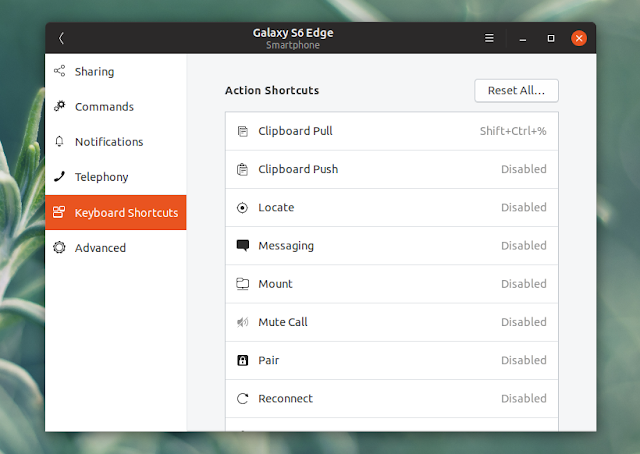 On the desktop side, there is a new theme called “Yaru” that provides a different look and feel than what was provided by default in the prior Ubuntu 18.04 LTS release. On the server side, Ubuntu 18.10 benefits from an updated Linux 4.18 kernel as well as support for TLS 1.3 encryption. The Ubuntu Server 18.10 integrates the OpenStack Rocky release, providing users with a stable version of the most recent open source OpenStack cloud platform release. Networking configuration gets a boost in 18.10 as well with netplan.io, which is a network configuration abstraction utility. 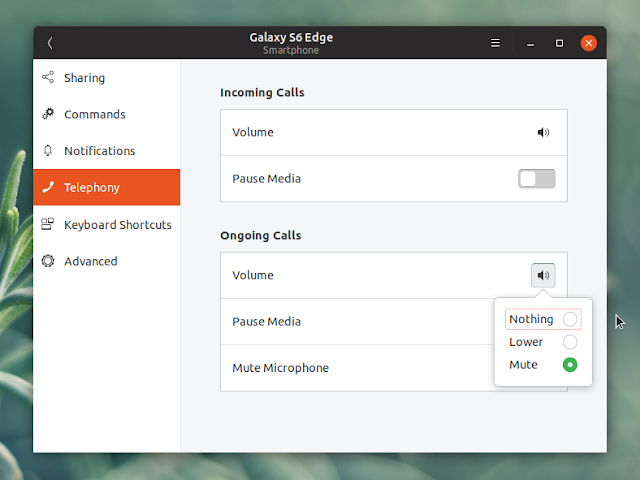 GSConnect is a complete KDE Connect protocol implementation written in GJS for Gnome Shell, which integrates Android devices with your Gnome desktop. Codenamed "Cosmic Cuttlefish", 18.10 continues Ubuntu's proud tradition of integrating the latest and greatest open source technologies into a high-quality, easy-to-use Linux distribution. The team has been hard at work through this cycle, introducing new features and fixing bugs. also updated to openssl 1.1.1 and gnutls 3.6.4 with TLS1.3 support. are shipping the latest GNOME 3.30, Firefox 63, LibreOffice 6.1.2, and many others. clouds, public clouds, containers or bare metal in your datacentre. The newest Ubuntu Budgie, Kubuntu, Lubuntu, Ubuntu Kylin, Ubuntu MATE, Ubuntu Studio, and Xubuntu are also being released today. intenance updates will be provided for 9 months for all flavours releasing with 18.10. This report ranks jobs according to each job’s Glassdoor Job Score, determined by combining three factors: number of job openings, salary, and overall job satisfaction rating. This recently happened with Transatomic Power (founded by Mark Massie and Dr. Leslie Dewan in April 2011), a Nuclear Startup that introduced a brand new design of its own Nuclear Reactor that is a lot more efficient than conventional ones. We at Transatomic Power are nuclear engineers with a new approach for electricity generation. We started this company because we believe it is possible to power the world while helping it thrive. 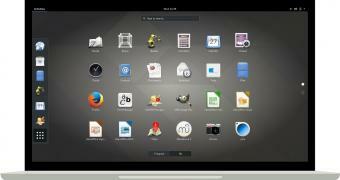 The Linux desktop environment KDE celebrates its 22nd anniversary on October 14 this year. 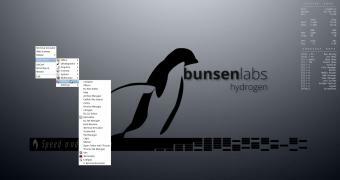 If you plan on trying something new on your brand new Raspberry Pi 3 Model B+ tiny computer, developer Arne Exton announced today the availability of a new version of his Ubuntu-based RaspEX OS featuring the Helium Desktop from BunsenLabs Linux. It was 2 years ago, at InnoTrans 2016 in Berlin that Alstom presented the Coradia iLint for the first time. The launch of the CO2-emission-free regional train that represents a true alternative to diesel power positioned us as the first railway manufacturers in the world to develop a passenger train based on hydrogen technology. And just two years later, at this year’s edition of InnoTrans 2018, the iLint enters into commercial service in Germany. Ubuntu 18.10 will be released on 18th October 2018. Unlike the previous releases, there will be no alpha or beta milestones. This will be replaced by ‘testing weeks’. 18.10 a short-term release and will be supported for nine months from its release i.e. July’19. 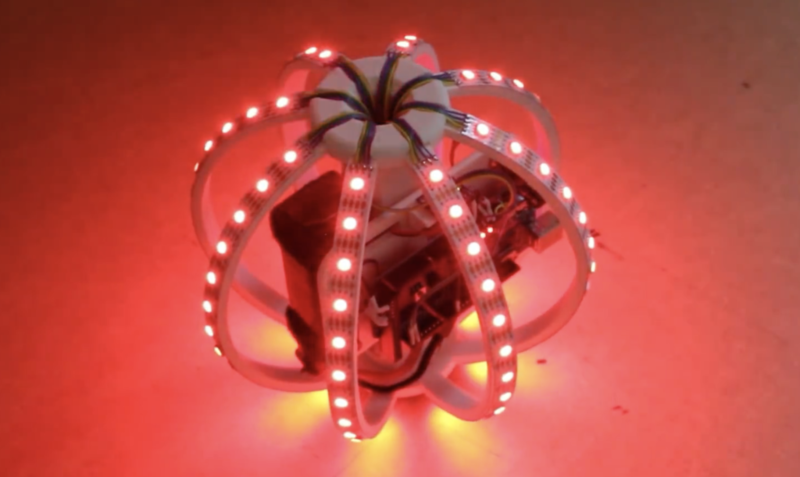 What would you get if you crossed a gigantic Christmas tree ornament with an LED strip and Arduino/IMU control? Perhaps you’d come up with something akin to this colorful “RGB LED Ball” by James Bruton. La moto elettrica che vedete in questo video e in queste foto si chiama Ethec, è un prototipo sviluppato dall’Università di Zurigo in Svizzera e da qualche giorno è sulla bocca di tutti per due motivi principali: fa 400 km con una sola carica. Sarà la prima moto elettrica con recupero energetico in frenata. La batteria è composta da 1260 celle a ioni di litio ed è raffreddata da un sistema termoelettrico: una cella di Peltier abbinata ad una sistema di iniezione olio. La capacità è di 15 kWh, con recupero energetico. I motori sono due, uno anteriore e uno posteriore, per un totale di 22 kW di potenza cioè circa 30 CV. Battery Cooling: Battery cooling system with fan, pumps, a peltier element and an expansion tank. For a durable and powerful battery an efficient cooling is required. An air circuit discharges the heat from the oil circuit with the help of peltier elements. The oil circuit directly flows around the battery cells. Do you remember Winamp? In the late nineties, Winamp version 2 was one of the most downloaded Windows applications. The software’s later releases witnessed a terminal decline in its popularity. Making difficult decisions can be tricky and stressful. This project will help you take off some of the pressure, instead letting your HalloWing-based Magic 9 Ball do the heavy lifting of your decision making! Laboratorio di Informatica per Introdurre l’Interazione tra Computer Miniaturizzato e Realtà circostante. L’Unità Didattica si rivolge a chi desidera introdursi nel mondo dei Computer Miniaturizzati che interagiscono con la realtà circostante. Il livello di difficoltà è basso, quindi è aperta a tutti i Gruppi di Interesse: dal bambino con il genitore all’insegnante che cerca stimoli da realizzare nel Laboratorio d’Informatica della sua Scuola. La lezione introduce il popolare, soprattutto in ambito della Didattica dell’Informatica nelle Scuole, Arduino. La prima parte dell’evento ha l’obiettivo di introdurre i nuovi materiali e metodi a chi non ne ha mai avuto occasione. Quindi i partecipanti potranno realizzare un vero e proprio semaforo in miniatura, che fa scattare, ciclicamente, il verde poi un breve giallo ed infine il rosso. La seconda parte dell’esperienza viene introdotta dal problema di come variare le temporizzazioni dei colori. I partecipanti quindi completeranno in autonomia l’esperienza di laboratorio e, completata l’esperienza, avranno ben aperta una nuova prospettiva di ricerca, che realizza un fondamentale tassello nella sua Formazione di Tecnologie Informatiche di Base. Previsti da 15 a 30, con i quali ci sarà laboratorio ed interazione. Nessuna conoscenza, per tutti i gruppi di interesse. I bambini devono essere accompagnati, come sempre, da un genitore. L’esperienza è rivolta a tutti i Gruppi di Interesse ed ha un significato propedeutico ad ogni altra unità didattica in tema. Per contattare il Gruppo Didattico. Even on an EPYC server with Optane 900p NVMe SSD storage, the gitstats process on the hearty Linux kernel repository is quite a task. But the process is done and offering a fresh look at the current Linux kernel activity in Git. The kernel repository is at 782,487 commits in total from around 19.009 different authors. The repository is made up of 61,725 files and from there around 25,584,633 lines — keep in mind there is also documentation, Kconfig build files, various helpers/utilities, etc. 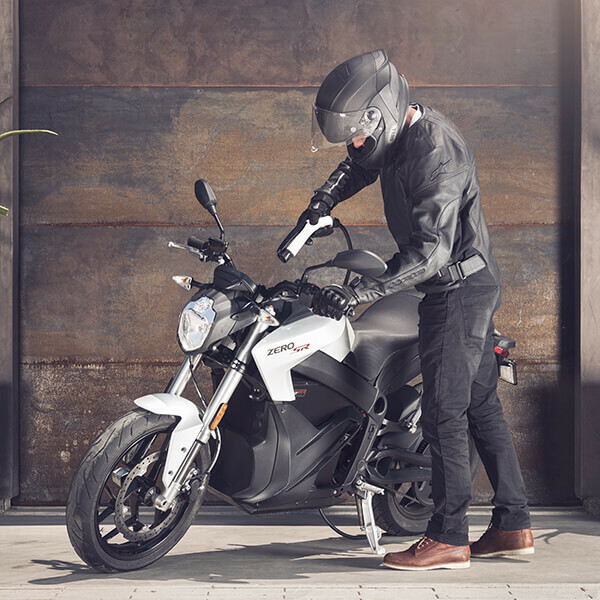 Zero Motorcycles Inc. is an American manufacturer of electric motorcycles. Formerly called Electricross, it was started in 2006 by Neal Saiki, a former NASA engineer, in Santa Cruz, California. The company is now located nearby in Scotts Valley. 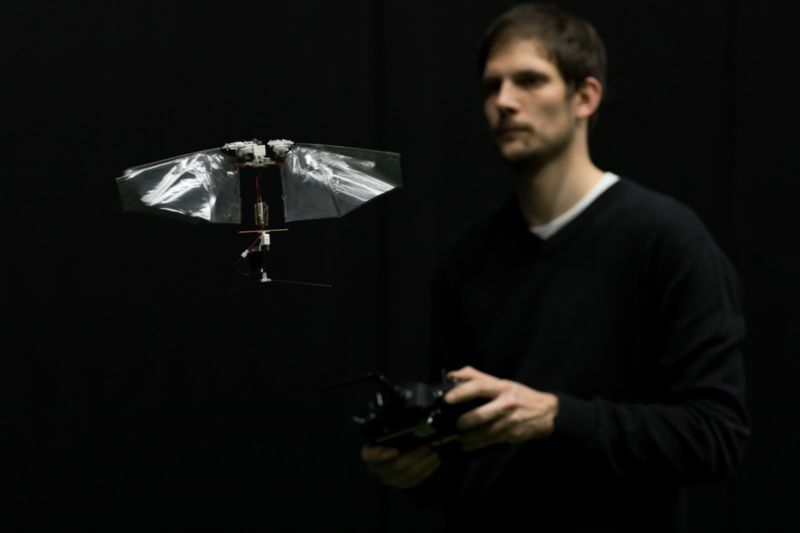 Flying insects like bees, dragonflies, and fruit flies can perform impressive aerodynamic feats, particularly when seeking to evade predators or the swatting motion of a human hand. 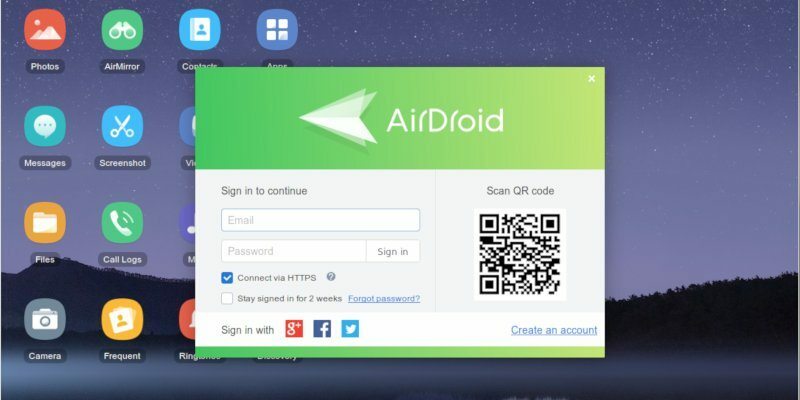 Airdroid is a unique and useful application that lets you transfer files, send SMS messages and control your phone through your PC. It is available within the Google Play store and the iOS App Store and provides a useful alternative if you need to grab a file but don’t have a USB cable at hand. 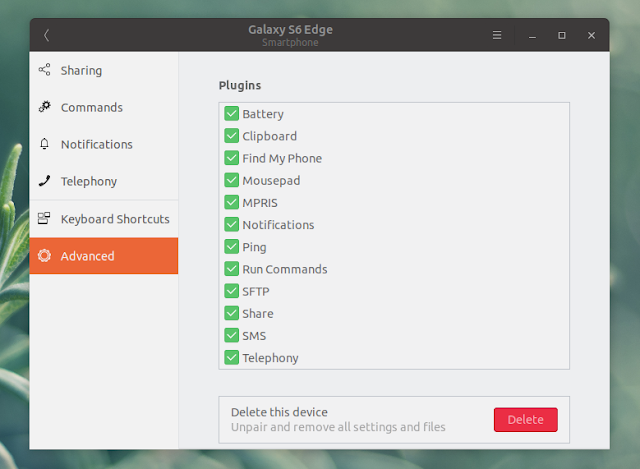 While Windows has a full rich client that allows easy access to the features, those of us on Linux have to use the web-based interface, but this doesn’t make the application any less useful. 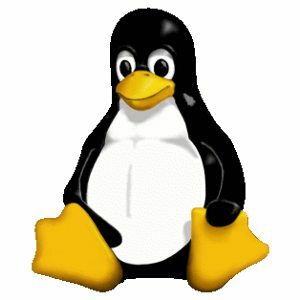 Coming hot on the heels of the latest Linux kernel security update released by Canonical on Tuesday, the new Linux kernel live patch security update fixes a total of five security vulnerabilities. La sigla General data protection regulations (Gdpr) che identifica la nuova disciplina europea in materia di privacy è stata beffardamente reinterpretata. L’acronimo è stato rivisitato in “Generally disclosing pretty rapidly” che lascia intendere che i nostri dati personali sono destinati a diventare pubblici abbastanza rapidamente. A smart ring is a wearable electronics device with advanced mobile components that combine features of mobile devices with innovative features useful for mobile or handheld use. Smart rings, which are typically the size of traditional rings or larger, combine the features of a mobile device, such as the ability to make payments and mitigate access control, with popular innovative uses such as gesture control and activity tracking. Smart rings can communicate directly with smart phones or personal computers through a variety of applications and websites, and operate without the need to carry a smart phone, such as when interacting with back-end systems on the cloud through or performing standalone functions such as activity tracking. They typically do not have a display and operate by contextual relevance, such as by making a payment when near a payment terminal, unlocking an electronic lock when near the lock, or controlling home appliances when making gestures in the home. Some smart rings have physical or capacitive buttons to use as an activation mechanism, such as to initiate a gesture. 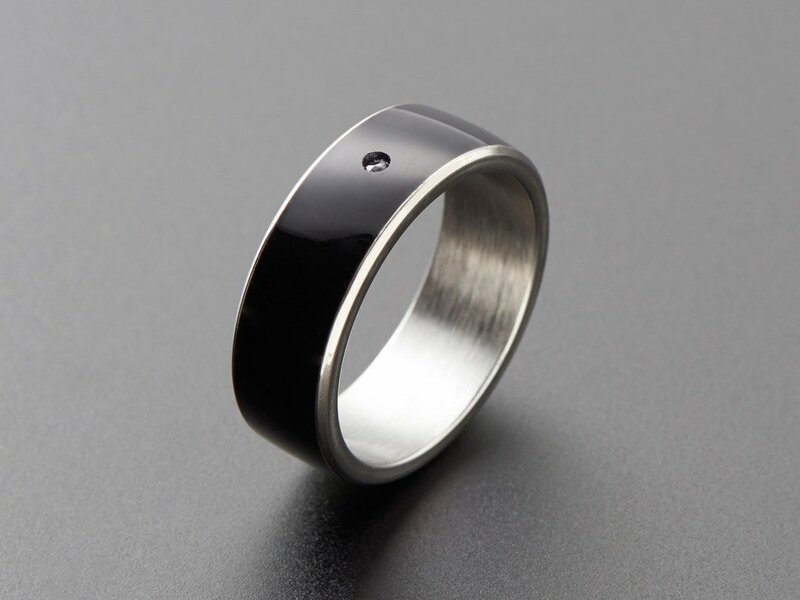 In 2013, the English firm McLear released the first smart ring for sale. The market is currently around $25 million. Secure access control such as for company entry and exit, home access, cars, and electronic devices was the first use of smart rings. Smart rings change the status quo for secure access control by increasing ease of use, decreasing physical security flaws such as by ease of losing the device, and by adding two-factor authentication mechanisms including biometrics and key code entry. Smart rings can perform payments and metro ticketing similar to contactless cards, smart cards, and mobile phones. Security of the transaction is equal to or greater than contactless cards. The first smart ring to be created with contactless payments was the NFC Payment Ring, which was mass produced and unveiled at the Olympics Summer Games at Rio de Janeiro in August 2016. Replicating smartwatches, smart rings provide features including activity tracking (i.e. step tracking), heart beat tracking, and sleep tracking (through measuring heart beats and movements). The smart ring form factor contains enough space to contain the same components as smart watches. Due to size constraints, smaller components are typically used in current smart ring products in market, such as smaller and less accurate accelerometers, and smaller batteries leading to lower battery life than smart watches. Smart rings provide social feedback to users and can be used to engage in the user’s environment in a way that other wearables and mobile devices do not permit. Ringly produces a women’s fashion smart ring which lights to notify the user when the user receives a text message, phone call, or other notification. This enables the user to be aware of the notification without having to constantly check her or his smart phone. NFC (near field communication) technology is a great way to interact wirelessly with projects. With the RFID/NFC Smart Ring your ring can communicate with your smart phone/tablet, computer, or much more! Contains two MiFare Ultralight C – NTAG 213’s with 144 bytes of read/write memory. One is on the ‘inside’ of the ring towards the palm, the other is underneath the jewel. 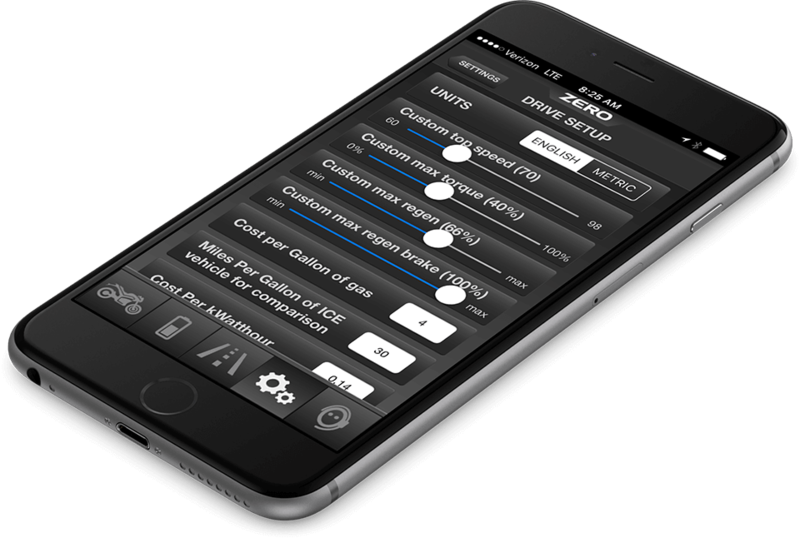 You can use tags to launch apps, unlock your phone, transmit a URL, control an Arduino, etc. Ring has a single NXP NTAG216 IC. La Sion è la prima vettura elettrica di serie che ricarica la batteria con l’energia solare. Al prezzo di 16.000 € (batteria esclusa). La carrozzeria è rivestita di celle fotovoltaiche: sulle due fiancate, sul tetto e su entrambi i cofani (anteriore e posteriore). La leggerezza dei materiali assicura alla Sion grande efficienza e lunga durata di vita. La carrozzeria è realizzata per la maggior parte in policarbonato, un materiale non soggetto a ruggine e resistente a graffi. Autonomia di 250 Km, 330 celle di silicio monocristalline ad alta efficienza, con un’efficienza del 24%, sono in grado di generare 1204 Watt. Il cruscotto integra un muschio speciale per filtrare l’aria. Oltre ad avere proprietà molto favorevoli alla tutela climatica, riesce a trattenere fino al 20% delle polveri sottili tramite attrazione elettrostatica. Il muschio non ha bisogno di cure. Il sistema di manutenzione è concepito per ridurre al massimo i costi delle riparazioni. Puoi ordinare online quasi tutti i pezzi di ricambio e il manuale di officina è a disposizione di tutti, privati e professionisti. 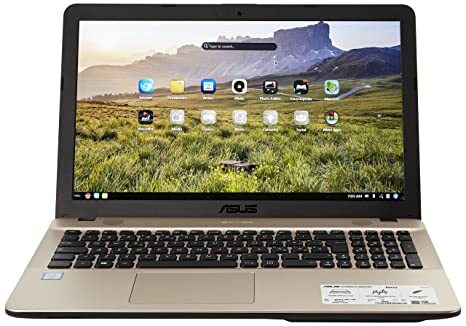 L’ Asus Notebook P541 è dotato di Endless OS, anche per quad-core AMLogic S805 Cortex A5 ARM processore, che è derivato da Linux Debian. After six months of hard work, the GNOME Project released today the highly-anticipated GNOME 3.30 desktop environment, a major new series that brings numerous new features and improvements. Dubbed “Almería” after the host city of the GUADEC (GNOME Users And Developers European Conference) 2018 event that took place in early July, GNOME 3.30 updates numerous of its core apps and components by adding new features and enhancements to make your GNOME desktop experience more pleasant. Il 2018 è un anno di svolta perchè, dopo aver visto l’affermazione nel mercato delle biciclette elettriche a pedalata assistita, in questo autunno assistiamo al lancio delle moto elettriche. Si comincia dai 10 cavalli circa, ovvero equivalente a quella particolare classe di motociclette denominata 125. Nel giro dei prossimi anni verranno introdotte, in termini competitivi, le motociclette di classe superiore. Poi, verso il 2022, ci sarà la svolta per le utilitarie, quali Smart, Panda e 500. E’ noto che nazioni evolute, quali la Cina, abbiano quasi imposto l’adozione per città intere di mezzi elettrici, ed aziende automobilistiche importanti, quali FCA, abbiamo presentato i nuovi piani industriali basati sulla quasi totale a breve, si parla per la FCA del 2022, produzione di utilitarie elettriche. La trazione elettrica è una vera rivoluzione, ora possibile. I motivi sono moltissimi, ma uno per tutti è poter dire che i costi di manutenzione sono abbattuti. l’elettronica ed in particolare i firmware si semplificano all’estremo; scompaiono le vecchie e complicate centraline elettroniche per introdurre invece dispositivi I.o.T. Il tutto si semplifica in un motore elettrico ed una batteria innovativa. La seconda vera criticità, dopo la struttura nazionale per la distribuzione dell’energia elettrica, si sposta sulle batterie che devono ancora evolvere. Una grande speranza è costituita dai dispositivi di conversione locale dall’idrogeno all’energia elettrica. Scenario che perè sposta un enorme problema ad un’altro: la produzione ed il trasporto dell’idrogeno. Anche la guida migliora nettamente, niente cambio o frizione, e la trasmissione continua produce un piacere migliore. La coppia erogata dal propulsore elettrico rende il mezzo sempre brillante, mezzo che da fermo non consuma. Tutta l’energia elettrica finisce nella trazione senza le enormi dispersioni termiche dei motori ormai antiquati: il rispetto per l’ambiente diverge. Ricordiamo anche l’abbattimento anche della seconda forma di enorme dispersione energetica: l’inquinamento acustico. Boati e fragori, oltre che fuochi e fiamme, vengono sostituiti dal leggero sfregolio, quasi una brezza, del propulsore elettrico. Purtroppo allo stato attuale la vera criticità è nella distribuzione dell’energia elettrica, che risente della concezione tutta italiana di monopoli ciechi ed inscalfibili, da investitura divina, come nei vecchi regimi dinastici, e personale ingaggiato certamente non per meriti ed inamovibile. Infatti la batteria, per un motore elettrico per motocicletta, equivalente a 125cc, da 10KW, per essere utilizzata un’ora richiede una carica che , semplificando, assorbe l’intera erogazione di un usuale contatore, da utenza domestica di circa 3.5KW, per circa tre ore. Un colpo mortale per l’attuale distribuzione elettrica. E si parla solo di piccole motociclette. I motori termici non sono praticamente usabili in robotica ed in contesti di precisione, mentre gli elettrici possono essere così finemente precisi da poterne coordinare 4 o 6 od 8 e permette persino il volo di un mezzo. Se si assume come valido il principio, per applicazioni robotiche, della necessità di associare ad ogni ruota un motore, allora il mezzo che ne esce ha poternzialità di controllo e precisione incredibili, se lo sono i motori. Quindi i motori elettrici possono essere estremamante precisi. Se tralasciamo le motociclette e consideriamo mezzi con un maggior numero di ruote , per esempio quattro, ognuna dotata di motore, otteniamo un mezzo incredibile. Infatti tale veicolo è a quattro ruote motrici ed indipendenti. Non necessita di scatole di distribuziuone, differenziali, alberi, mozzi e semiassi che rendono la parte meccanica così complessa da creare i problemi di fragilità e di continua rimessa a punto. Ma il controllo alla singola ruota supera di botto i vecchi sistemi ABS, ESP ed altre diavolerie rese completamente inutili e superate. 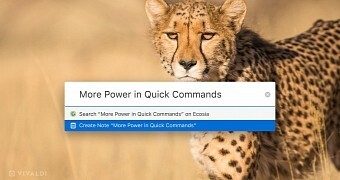 Se poi si adottano computer di controllo con software che vediamo oggi nella versioni giocattolo per i quadricotteri e più, allora la rivoluzione è apocalittica. Ma una centralina elettronica con un processore primitivo che deve coordianre dalla sonda lamba all’ABS alla distribuzione ed iniezione risulta una clava del paleolitico rispetto, per esempio ed improvvisando, ad un piccolo cluster di schede ARM quad e più core ad oltre 2GHz con watch dog incrociato e connettività locale in fibra, che utilizzano un vero sistema operativo, per dire Linux in una versione real time su cluster con disaster recovery e storage magari su doppio RAID di SSD anche per log. Senza tener conto della parte I.o.T. con servizi remoti in data farm quali cartografici, monitoraggio e sicurezza. La rivoluzione è epocale come l’introduzione della polvere da sparo, la pressa tipografica, il motore termico, la valvola, la penicellina, il transistor e i computer. Ma perchè tali vantaggi non vengono introdotti con grande velocità? La risposta è l’usuale e quasi ovvia osservazione: gli interessi dominanti richiedono tempi lunghi per poptrer impadronirsi del nuovo e poter continuare classici schemi predatori. While many Linux users have a strong preference for a window manager of choice, for those just making their way over from Windows or Mac, it may be hard to understand what a window manager is, or that it’s even something you have a choice in. A window manager is the part of your system that dictates how individual application windows look, and how you can interact with, control, and arrange them. I love it when the opportunity to combine music and coding comes together. I’ve worked on a few personal projects related to music, from making music with network traffic to an auto-accompaniment system for electronic drums. More recently, my wonderful wife gave me a beautiful, programmable music box for my birthday. You punch out music notes on a card and crank it through the music box to play a tune. If you want to try your hand at building your own VPN but aren’t sure where to start, you’ve come to the right place. I’ll compare six of the best free and open source tools to set up and use a VPN on your own server. These VPNs work whether you want to set up a site-to-site VPN for your business or just create a remote access proxy to unblock websites and hide your internet traffic from ISPs. Few people run Python programs by double-clicking the .py file as if it were a .exe file. When a typical user (non-programmer types) double-clicks an .exe file, they expect it to pop open with a window they can interact with. While GUIs, using tkinter, are possible using standard Python installations, it’s unlikely many programs do this.